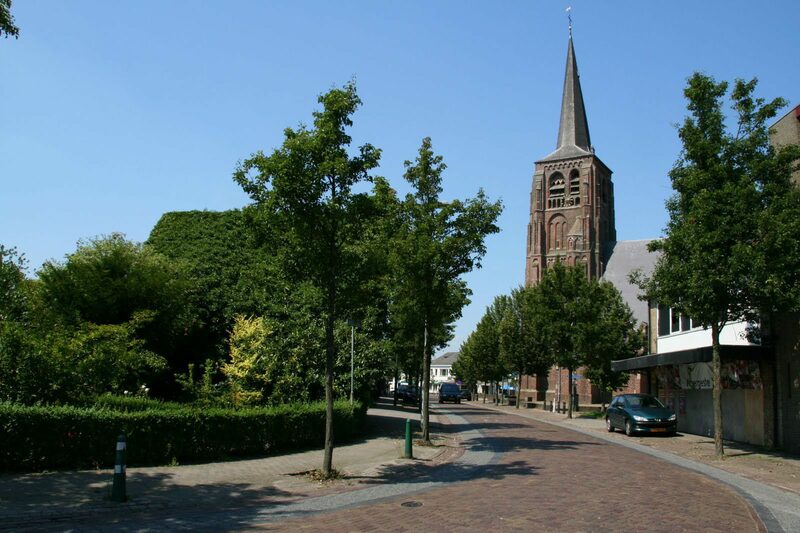 Moergestel is a village in the municipality of Oisterwijk with almost 6000 inhabitants. The former municipality of Moergestel was merged with the municipality of Oisterwijk on 1 January 1997. The village is located south of the village of Oisterwijk and north of the A58. The village of Moergestel has emerged from four recalls. In the Middle Ages Moergestel belonged to the Quarter of Oisterwijk of the Dairy of 's-Hertogenbosch. The glory of Moergestel had its seat at Kasteel Nieuwenhof. Men from the 14th century are known. These include genera like Van Horne, Van der Leck, Vertaing and Schetz. In 1761 the castle came to merchant Marcellus Bles and in 1840 the sisters of Love of Tilburg settled and became a monastery, the Saint Stanislaus foundation. Sint Jans Onthoofdingkerk is a parish church consisting of a tower in Kempense Gothic (about 1500) and a church building from 1930-1931. She is richly decorated with natural stone ornaments and in 1949 she became the property of the parish. The last restoration dates back to 2000 and the tower is a national monument. The Scheerman has a standard mill. However, the mill originally comes from Haghorst with very old parts. In 2007 the roeden was ironed due to a failure on the ash. The mill has been restored since 2009. Castle Nieuwenhof, nowadays Park Stanislaus, is located in the north of the village. Most buildings are from 1877 but a single 18th-century wing is still present, as well as the demolition. The Broothuys was built in 1779 and served as a ministerial residence. Later it became a mayor's house, but in 1967 the last resident left. The house then threatened to expire but has now been refurbished. Every year there are several events in Moergestel: the annual market in May, carnival, fairground, landjuweel and Pre-Season Tournament (softball tournament for junior and senior).